More photos of our latest deck installations here! If you find yourself needing to add a nice comfortable place to relax in your back yard or anywhere around your home or business, call K&N Exteriors for your next deck and patio. We can work with you to design your dream deck. 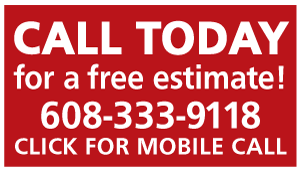 K&N Exteriors is your local deck builder that will go over the top for our customers. 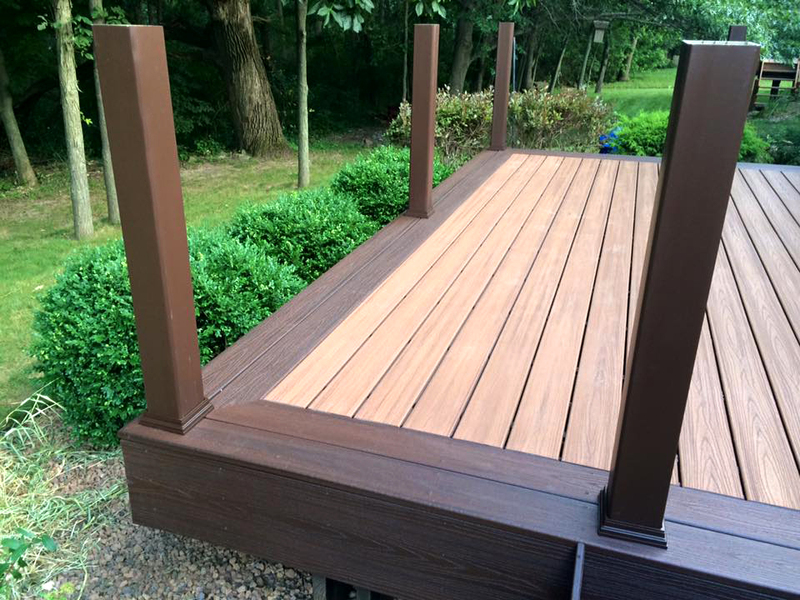 K&N Exteriors deals with a few styles of decks, from composite decking to wood decking, from face screwed decks to hidden fastener deck systems whatever you wish we can do it and have been doing it for many years with hundreds of satisfied customers to back us up. Composite decking is an outstanding choice for anyone looking to invest in a long-term solution for their outdoor deck. While wood decking has a traditional, natural charm, it needs continual upkeep and only has a lifespan of around 10 years, especially in hot, humid, cold and frequently stormy climates. This makes wood one of the least cost-effective options for Wisconsin residents. Composite decking closely emulates the look of real wood without all the headaches associated with maintaining it. Composite planks are easy to install and require no painting or staining. They come in a wide variety of grain patterns and rich colors, providing you the options to create the personalized outdoor aesthetic you want for your home or business. Choosing composite products is also an exceptional option because many manufacturers of composite decking utilize recycled materials. These manufacturers don’t contribute to deforestation and keep millions of pounds of wood and plastic waste out of landfills each and every year. All of our Wood Decks are constructed with only premium materials and meticulous attention to detail. We work closely with our customers to ensure both satisfaction with the final product and the services Deck Builders Madison offers. Wood’s natural beauty makes it the ideal choice for deck additions. Wood decks can be treated, and sealed to protect from weather. We make decks a work of art, for residential and commercial. Small and big sizes.